For quite some time now, the ownCloud release planning and definition process has been largely hidden behind a curtain. On behalf of the entire ownCloud company, we are pleased to announce that as of today, this is changing. We are opening the planning process to all, shifting the steering of ownCloud’s future to a shared, visible and transparent process. We will disclose the planning criteria of upcoming releases, solicit ideas, and have open discussions. Anyone can choose to read, participate, contribute, comment – whatever you can and wish to do, but it is now out in the open. Here is what we are proposing to get this started: The planning of the ownCloud platform starts right now. What is the ownCloud platform? It is the entire end to end platform release – by which we mean the release of desktop, server and mobile as one entire platform. These components all work together, and rather than discussing individual server items, we wanted to start discussing ecosystem ideas – which of course include server as well as mobile and desktop components. In GitHub you will see a new GitHub issue [https://github.com/owncloud/core/issues/24684]. In this issue you will see comments that are suggesting enhancements for consideration for ownCloud. Each comment in the issue is meant to be a feature suggestion, which in turn links off to a GitHub issue for more discussion on that particular feature suggestion. Want something that is not there? Feel free to add a comment and link to a new issue. See something you would like? Then add a heart to the issue comment to vote for it. Think a feature is incomplete? Then add your comments. You will also find features there that stem from our discussions with customers and prospects, or that are the result of input from our professional support department. Our goal is to handle all input with the same process, open for your suggestions and input. Then all of us can vote using the heart button. The more hearts, the higher the interest and the higher likelihood that this will be pulled into the next release. You can heart more than one comment, but GitHub only allows 1 heart per user per comment. On May 30, we will create a new GitHub issue to begin the specific conversation around the next release of ownCloud, likely this will be server 9.2 and associated mobile and desktop clients. We will leave the ownCloud platform ticket open to continue the brainstorming there. The 9.2 planning will include priority based on the results from your input, and to be transparent – a slight tendency towards professional use cases in production environments. We will explain how that process works in more detail at that time, but we will take a subset of the ideas in these issue comments into a prioritized list that we work on for 9.2. By we, I mean all of us. All are welcome to work on parts of 9.2 and contribute. If you are thinking about working on a feature on your own, let us know – we encourage you to add your plans too so we can coordinate and work together. If you already have an enhancement in GitHub that you would like to see, simply add a comment to the ownCloud platform GitHub issue and link to the existing enhancement. If you see an enhancement you would like already in GitHub, do the same. If you are working on an enhancement, just add a comment. In case it was not clear, lobbying for “hearts” is allowed, even encouraged! Have an idea, feel free to write a blog explaining it and link to the comment to get more hearts. Make an impassioned plea! We respond well to passion, because we ourselves are passionate about ownCloud. Comments and questions on this process are welcome, we look forward to evolving this with you into the very near future! After all, this is our process – yours, mine, ours. That’s the best starting point to ensure that the community continue growing and collaborating. ownCloud must be empowered for all of them that believe on the Open Source world. Keep doing well !! I don’t see anything in this about managing contributor PRs. Currently 136+ in core are sitting open, and 46 are over six months old. Not sure how soliciting more community engagement, and more feature requests, when we don’t even handle what we have will help anything. New ideas are easy; anyone can do that. Doing the actual work of implementing them is the hard part. Yes, and as the blog says, this is not a complete answer. I also would say that we aren’t handling contributor PR’s a broad swipe that fails to see how in some areas we’ve been more effective than in others. And that the rate of growth of open contributor PRs has not grown for a while. Nevertheless, the largest impact to handling community PR’s has been the intensity of feature development in every release. We are re-prioritizing handling contributor PRs in our roadmap, even during 9.1 by increasing the time between when new functionality is frozen and the actual planned release date. Beyond 9.1, we’re also changing the capacity planning to handle community PRs, as a natural follow up to this blog. So, ok to call us out on needing to implement things. Hopefully we’re a bit smarter than just talking and talking. As I did comment some days back on Franks blog post – http://karlitschek.de/2016/05/783/ – the numbers are so vague and actually (from my pov) tell us nothing. Somehow, this reminds of the late Ubuntu Brainstorm. I think this is a great step into the right direction to get more involvement done for a broader community. it obviously needs time and efforts of anybody, but the final result can be appealing: with opening up the plannings and enable influencing it, everybody can be in the picture of where ownCloud is moving. it is the first step to enable sustainable contribution. I am looking forward to more. A very good starting point! While you’re at it, don’t you think it’s a good time to kill the old fashioned mailing list and move the discussions to the message board instead for a more productive developer environment? 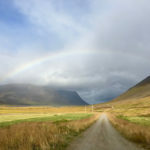 It may only my point of view – but for the .Inc this is to late and they will see that the community drives the owncloud project, not the other way round. 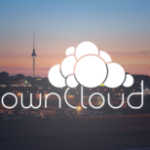 ownCloud Server 9.0 Comes Next Week, Help Tell Everybody About It!